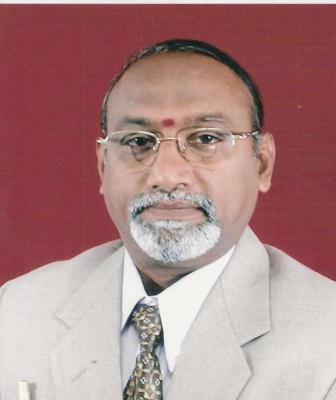 Guest Name: Dr. S. Chandrasekar Managing Director, EmpoVer HR Solutions Pvt. Ltd., Bangalore. Time: 09.00 am- 04.30 pm. Dr. S. Chandrasekar A Post Graduate in Commerce from Madras University, NIITian, a Post Graduate Diploma in Personnel Management & Industrial Relations, HR Management, started his career with Lakshmi Vilas Bank in Chennai. He was a faculty in Sri Vasavi College, Erode, Madras University. National Productivity Council and Davars College, Chennai. He then joined Vysya Bank and served in different locations in the country in different managerial capacities. A Banker by profession has 27 years of experience in different banks. He has worked in Rural, Semi-urban, Urban & Metro centers of the banks & was a Senior Faculty Member, FINANCE in the Center for Excellence for 8 years. He was Head of Business Process Initiatives -BPI & Chairman of the Forms Committee in ING Vysya Bank. Has experience in financing Small, Medium and Large Industries in the country to the extent of Rs.7000 Crores and has analyzed more than 1500 financial statements of SMEs during the Credit Appraisal.